One of my urban sketches from Ibiza has made it's way to my shop on Society 6. 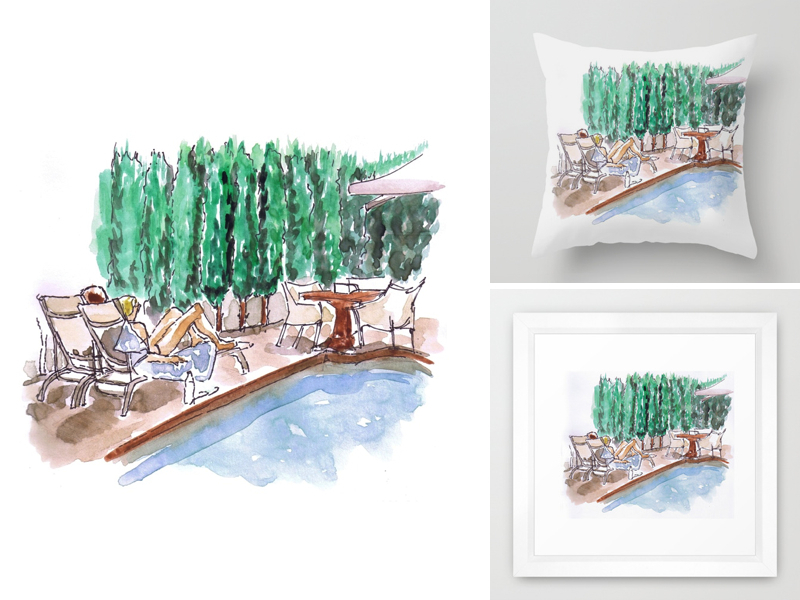 Entitled Poolside, it's available as a print or as a accent pillow. It's a great way to keep the summer going despite the leaves starting to turn to give way for fall.